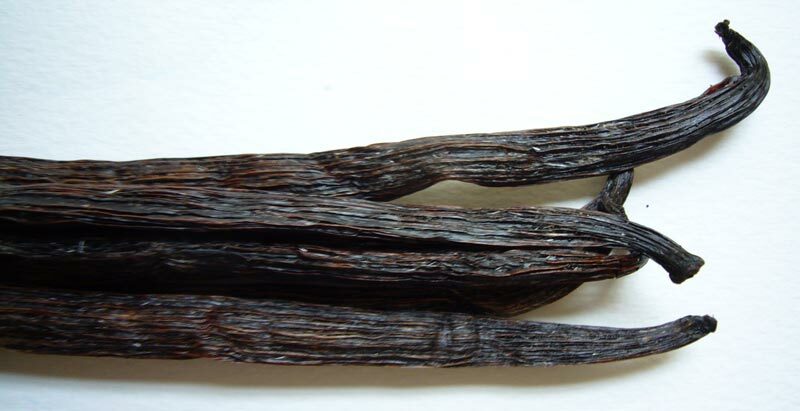 You are currently browsing the archive for the Mr. Daudi’s vanilla category. 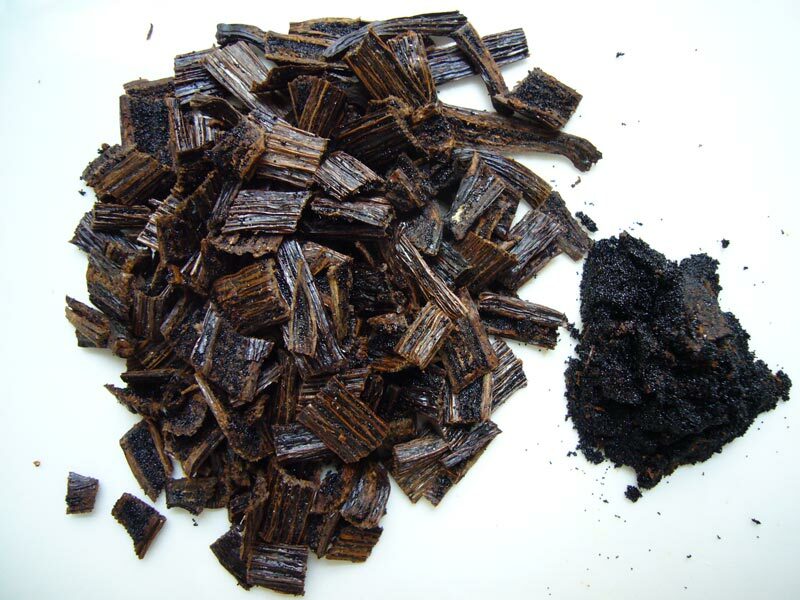 It’s very difficult to find single-source, farm-direct vanilla beans — that’s what makes these Tanzanian vanilla beans extra special. 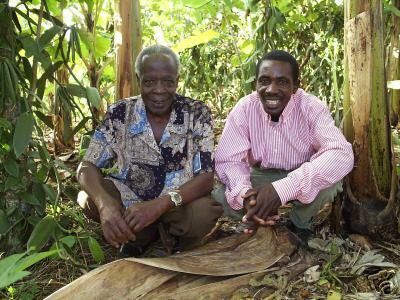 I first met Mr. Daudi (photo, left) through Kim, a U.S. Peace Corps worker in Tanzania. 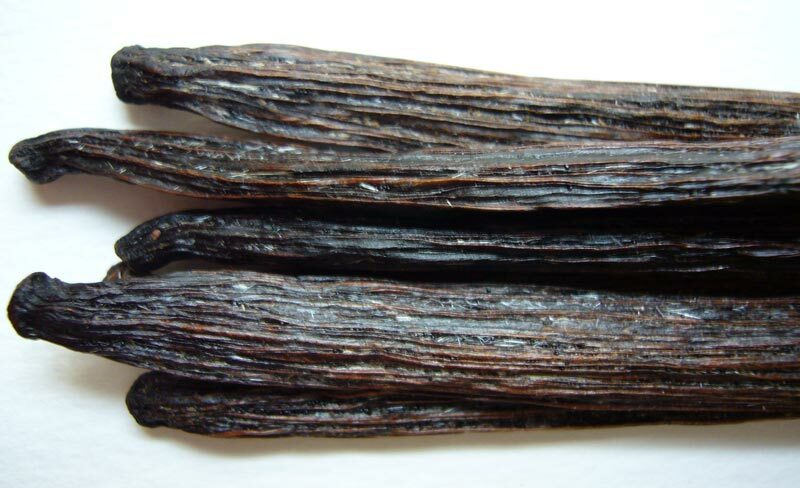 Mr. Daudi wants to produce Grade A vanilla and sell it directly to consumers, bypassing the local vanilla consolidation houses. 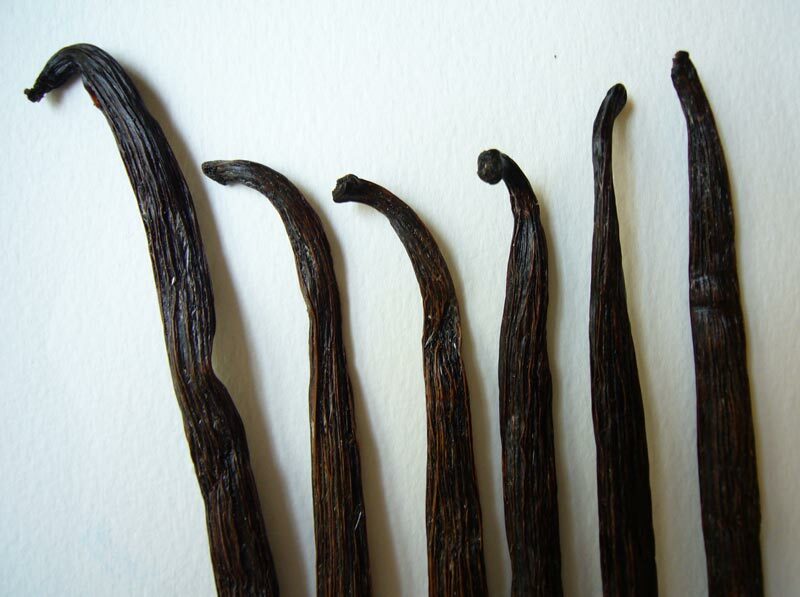 To help him produce even better vanilla, I sent Mr. Daudi a vanilla growing handbook, which he compared to his methods. 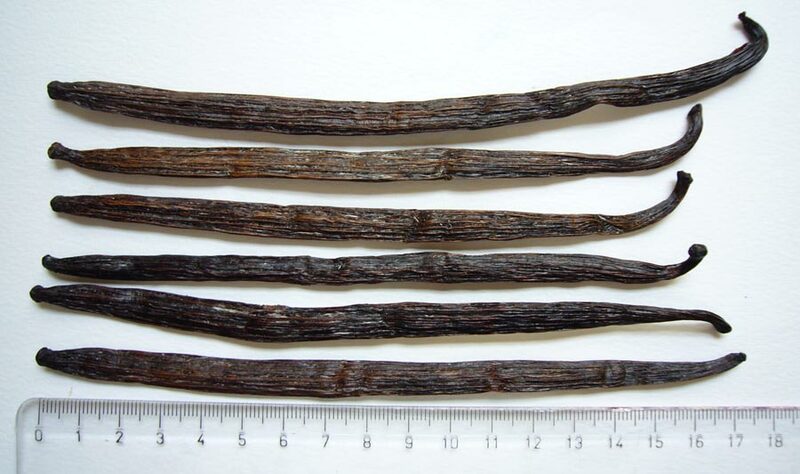 These are the first vanilla beans that he’s cured since reading the book. The six beans range from plump to thin. They are brown in color, with lighter streaks. The skin is a bit leathery, but still flexible. The beans are flexible and don’t break when bent. 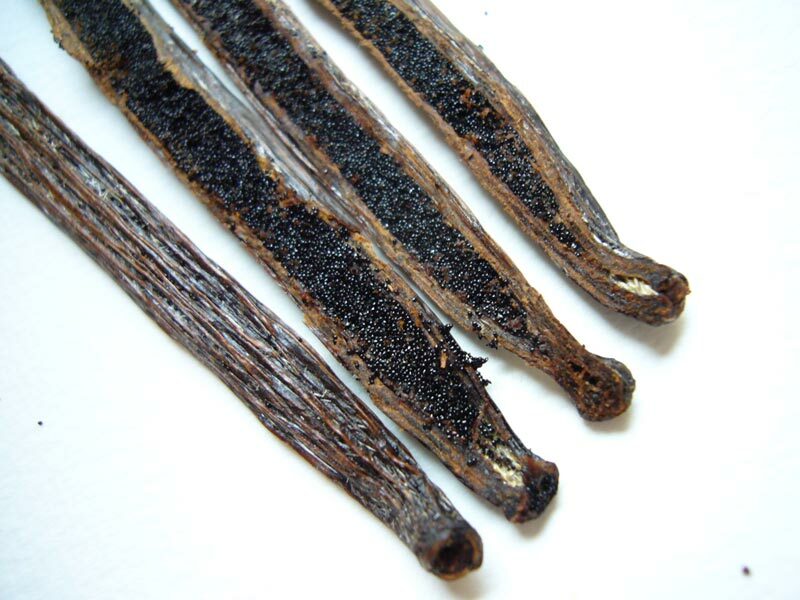 They are a bit on the dry side, however, as evidenced by the vanillin crystals that have formed on the skin. The aroma is creamy, rich, and strong. There are pleasing overtones of raisin and pipe tobacco. The beans are fairly woody and dry when cut open. They leave a bit of brown-yellow oil on my knife. The caviar yield is excellent for only six beans. It has a fluffy, pillowy texture. The caviar isn’t especially moist or oily; you can form it with your fingers but it won’t stick together. 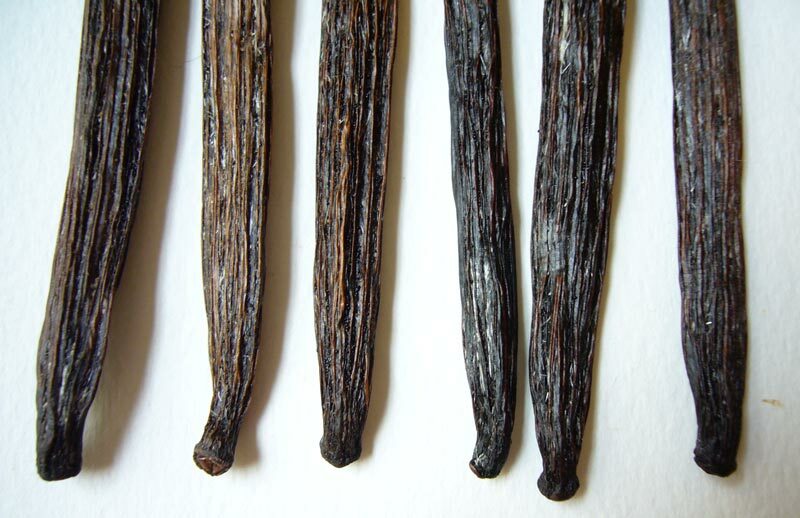 These vanilla beans are somewhere between Grade A and B quality. They aren’t as dry or as tough as B-grade beans would be, but they’re a bit too dry to be Grade-A gourmet quality. They are exceptional extract beans. Mr. Daudi is still working to perfect his curing methods, and I’ll keep you updated on his progress.